Supply chain reports suggest that Oppo, one of the forces combating Apple in the Chinese market, will not hit shipment targets as a result of insufficient OLED supply from leading display maker Samsung. Oppo initially planned on shipping 60 million smartphones to Chinese customers in 2016, but has since boosted estimates to just less than 100 million. However, according to DigiTimes research, Samsung's entire production of OLED display capacity headed to Chinese manufacturers, including Foxconn and other builders, will only hit 100 million units in 2016. Estimates pin only 150 million OLED screen shipments to China by Samsung to third parties per year by 2019. The same source suggests that Samsung itself will retain 290 million screens for its own production. While DigiTimes has a poor track record in predicting Apple's specific moves in the mobile market, it has solid supply chain sources, and is a good indicator of general overall trends, and potential pitfalls coming in the future. Organic light-emitting diode (OLED) screens use an organic compound that emits light in response to a current, eliminating the need for a backlight such as that required for LCD screens. The first major advance in the technology came in 1987, but mass implementation of the technology had to wait until the last few years on improvements in manufacturing and precision engineering. OLED displays have a greater contrast ratio, and superior color display to LCD. The technology has significant power efficiency improvements over LCD screens, as a black pixel consumes no power. 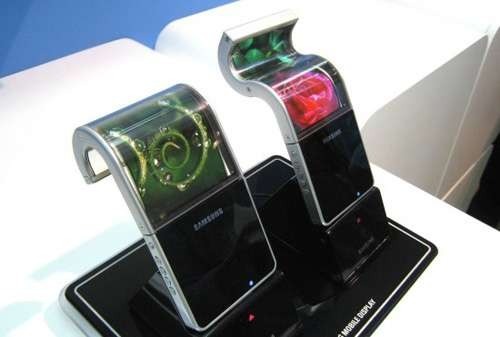 The flexible displays prevalent at recent trade shows are a product of OLED development. However, water impingement is a major problem for OLED screens. Even a small amount of water contacting the organic substrate can immediately damage the display, necessitating replacement. Production is more complicated than LCD, with even a speck of dust completely ruining a screen during initial fabrication. The cost to construct each screen still exceeds that of an LCD. 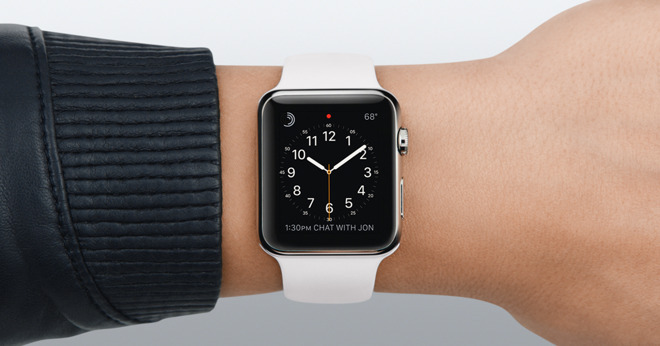 Apple currently uses OLED technology only in the Apple Watch. Samsung has a wide range of phones utilizing the technology, as it is the dominant screen manufacturer. Google uses an OLED display in the Nexus One, and Nexus S smartphones. Supply constraints for the OLED screens are forcing use of different display on the Nexus S in some countries. OLED display supplier Applied Materials revealed a quadrupling of orders in May. CEO Gary Dickerson said that the orders represented "sustainable growth," and implied Apple was the source, adding that "we all know who is the leader in terms of mobile products." Analysts point to Apple being the future prime mover of the OLED market. Industry analytical firm IHS pointed to a current 20 percent adoption rate of the display, without Apple involvement. However, IHS believes that by 2020, the technology will be seen in 40 percent of all smartphones sold. Despite Apple's continued legal battles with Samsung, the Korean company remains a prolific Apple supplier. Apple draws a large percentage of its flash and DRAM needed for manufacturing of both iOS devices and Macs from Samsung, and sources other components from them as well. Suppliers believe that Apple will shift to OLED in the release of a 2017 iPhone. A rumored MacBook Pro redesign, seen prior to the 2016 WWDC, places a touch-sensitive programmable OLED strip above the keyboard, and may replace the existing function keys.